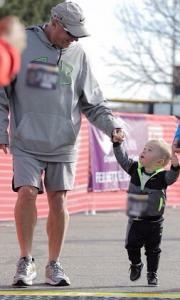 Thanks from me as well Joel...Zach had a decent day, but wasn't terribly happy with any part of his game. Shot 75, but never felt he was ever in contention, he was grinding all day. He was having trouble finding the fairway...one of those days. 75 sounds pretty good considering his recap /smile.png' class='bbc_emoticon' alt=':)' />. Had the ultimate mail day today. Since we all know it's not the player, but the equipment in golf...I fully expect to be a + handicapper soon. My wedges were missing, but a quick phone call and TM's customer service was right on it. Going to re-build them and overnight them to me soon. I'm a huge collector of things; records, blu rays, bikes, etc...but I can honestly say this has been the best package I've ever received in my life. I'm beyond excited to get out there and hit them...although I kinda don't even want to take the plastic off all the heads yet. They're just so pretty. If anybody wants to get out Sunday, you can watch me shoot a season-high 90-something as I get adjusted to the new sticks. Not sure which driver shaft that is but I have the m1 440 with a black DI 6. It has been a terrific combo for me. That is a sweet bunch of equipment. I too got some new toys in...didn't get great pictures because I was too excited to race to the range and hit them. (I've had the hybrid for a few weeks now.) Playing Walnut Creek tomorrow, so we'll see how adjusting to the irons goes. At least from hitting them at the range though...****. I'm in love. True Temper Dynamic Gold S300 shafts. Next stop...new driver and fairway wood, and my bag should be set. 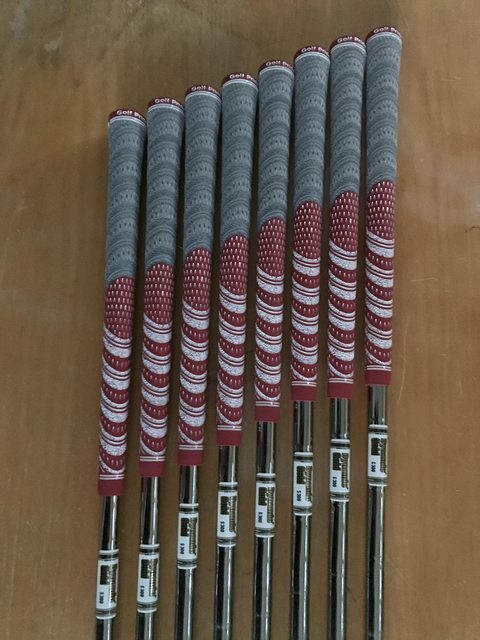 Some nice looking sticks as well! 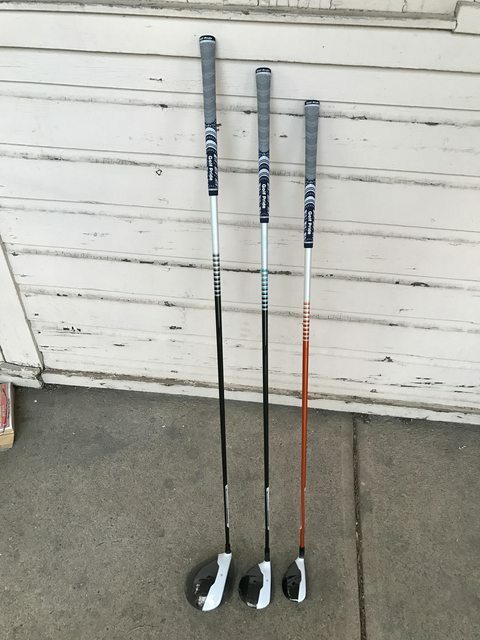 And honestly, I don't even want to go to the range at all with these clubs. Those balls are just so hard. And yeah, it's the DI-6 Black. 3 wood is DP-7 Black. 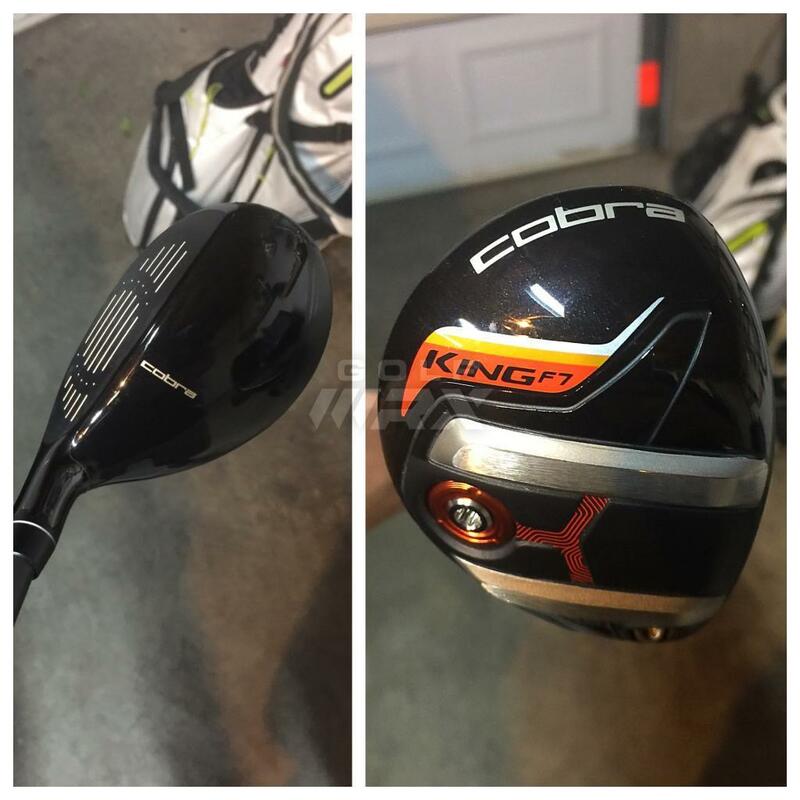 I've been gaming the MT-6 in my current driver, and it's been the longest and straightest. So even if the DI doesn't work out, I can swap it for my MT. Congrats on the new sticks guys! Look good! Nice sticks for both of you! Not gonna lie...a bit of jealousy on my end lol. Meant to tell you the other day both good luck with match play and take pictures of this course in Sweden! 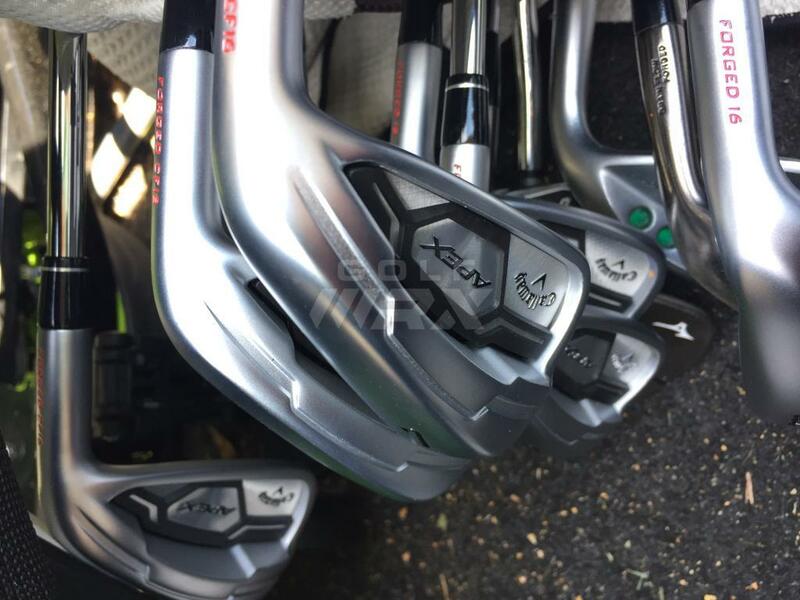 The one with the insanely tight fairways? I may not be playing that course this year, but I definitely will if I do! Nice. Not going to play RTJ like I thought we would, but here's the local course we are playing. Some of these holes (at least on the walkthrough) look tight. Reminds me just a little of how narrow you said that place in Sweden is. http://www.columbusg...lcreek/west.htm Open the West course with a par 5 that's the #1 handicap. Lol. Should be silly watching my dad and brother get after it. Gonna be quite an adjustment playing with trees around. 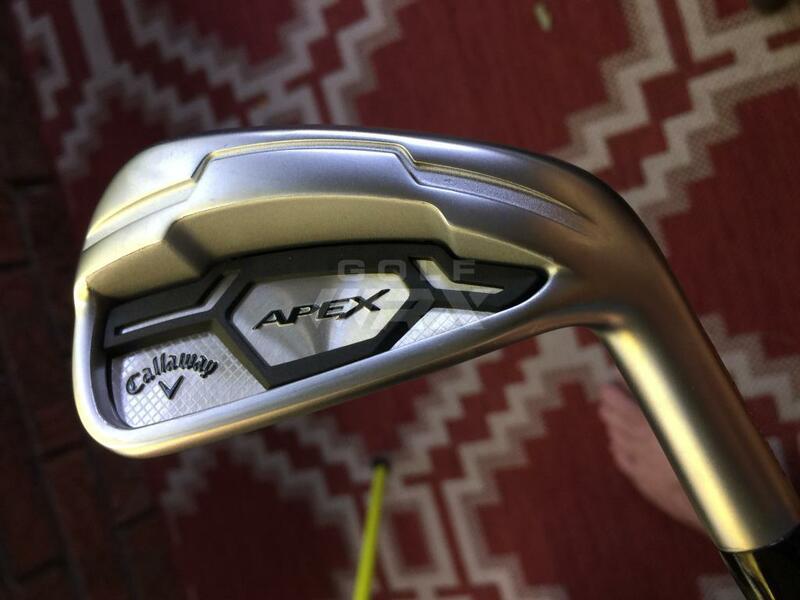 ASak10....curious to see how you like the Apex irons, I have the previous gen and don't see them leaving my bag anytime soon. They feel like butter on the good shots and provide enough feedback on the bad ones despite not losing much distance or accuracy. Sometimes it feels like cheating to be honest. Man, I need some serious help out of bunkers. Just do not have any consistency when practicing from them. 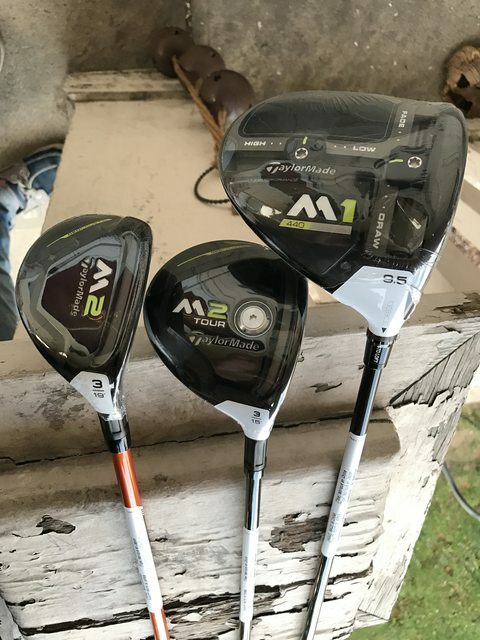 I'll be curious how you like the flat lie of the m2 tour. I have a M2 tour 16.5 with an ADGP 8TX and it was really hook prone. I had to put like 7 or 8 strips of lead tape out on the toe and now it's great. Early review, but after one range session and one round, I completely agree. The distance I am gaining is just stupid. For example, number 7 at Walnut today was playing 170 something. Need to carry water and being short is not good due to a big slope towards the water. With my old clubs, I hit a 6i there all day. But after the range session I knew I was gaining about 2 clubs of distance. So I grab the 8i, hit it on the green, Arccos tells me it went 180. Now granted I know lofts may be different and all that jazz...but man was it fun to have a short iron on that length par 3. That'll hopefully be good for me. I lose the ball right more often than not. My 770's are actually 2.5 flat and 1/2" short. And I think that's the perfect combo for me. The sole of the club seems to be sitting pretty flush and flat on the ground now at address. Also, my 2 Milled Grind wedges came in today. So now my bag is 13/14ths TaylorMade (Scotty still holding strong, although a Spider might be creeping in soon). I know there is only 1* between the 4 & 5 but on the course they are 10-12 yards apart in carry. Had the exact same experience. Feel was great, just ridiculously long. It was pretty easy to land in that sweet spot with my JPX 850s at that point...and a little less expensive, surprisingly. Now wishing I'd taken even less distance for those oh so pretty MP5s...but I'm pretty happy. Apex are really, seriously good though. Enjoy the new sticks! I went thru a shaft change but now they are money. I tried graphite (Recoil 95s) since I had some tennis elbow last season but just couldn't get along with them. Went back to my old standby (KBS Tour) and love them. I've probably picked up 1/2 club over my old 825Pros but I feel my misses are less penal. Here's my gapping with rough yardages for each. I think my gapping is pretty good overall except the bottom of my bag. I'm not sure what I was thinking when I purchased my wedges this year. I knew there was a bigger gap than I wanted between PW and my wedges. I should have went 50/54/58, and I still may bend my 52 and 56 a degree or two since they have enough bounce. I have thought about ditching my 3 and 5w for a 4w, but I kind of like the setup I currently have where my 3w is more of a piercing ball flight and my 5w is higher for a softer landing. Same thing with wedges. I quit the idea of having a 60* wedge, because I'd over think my choices, and also with the super high loft I'd get cute too often. Now, 50* is for full swing 90-100 yards, and if I need a low chip that I want to run out. All other short game shots around the green it's the 56*. 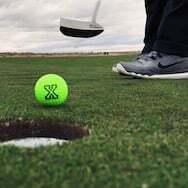 My short game has gotten much better, since I've decided to just learn my way around with one club, and figuring out how to use it to get different trajectories and spins. I'm probably in the minority, but I prefer to take out the longer clubs for several reasons....I play 50% of my rounds on a par 62. I generally hit every club in my bag except my 3-wood. I really need to learn how to hit that club or just take it out. I have more confidence to swing my driver at 80% than to hit my 3-wood full. I like to have options when it comes to shots inside of 100. My SW is 55 degrees and I will hit it anywhere from 90-105 out. I have a 60 and 64 in the bag and use both quite a bit. I use the 60 for most stock shots around the greens, but will go to the 64 for green side bunkers (unless its a really long shot, like front bunker w/back pin) or anytime I short-side myself. I envy guys who can chip using the bump and run method, but for me it is just something I can't do with any consistency. I like to hit it a little higher with less roll out, so the 60 works well for that. Carrying 5 wedges probably seems like overkill, but for me it works. I don't really ever use the PW, AW or SW around the greens though. but yes having too many options can actually hurt most recreational players I think. I know that I when I used to use my 64 more than necessary I would get into some bad habits. It really should be more of "in case of emergency break glass" club. You are up against the lip of the bunker? use it. You flew the green and now are in the rough, and hitting to a pin with all downslope behind it? use it. You pulled it 20 yards left and now have a 50 foot tree in-between you and the green? use it. 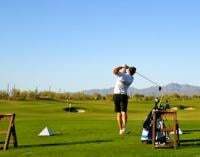 But I think it is not an easy club to hit a standard chip with, so don't over use it. For most people same could be said with the 60 degree. My bunker game is great one day and terrible the next. I have also learned that the better "soft and fluffy" the sand is, the better I am out of them. I played at Bear Dance earlier this season and was in them 3 times, two of those times I looked like Spieth, the other was also decent. Put me in some hard sand and look out....like literally look out cause I might just hit you in the face. Just got the official word that I get the 4th off. That just means an extra day of golf! Very happy. Nice, I have to keep turning down golf invites for Sunday - Tuesday. Wife and I booked a last minute Vegas trip. Also men's league followed by couples league tomorrow will help ease the pain a little as well. Have fun and hit em straight to those who are playing this weekend. Or if you are psuedoswede, hit them with your normal 40 yard hook. What's interesting is that my biggest distance gap is between my 6 & 7 irons. I hit my 6 a shade over 200, and my 7 in the low 180's. Although, I absolutely crushed a 7-iron on 17 at Murphy Creek. Laser said 215 with the wind, I ended up almost pin-high*. * - Yes, on the green about 18 feet from the pin**. ** - Yes, I missed the birdie putt. 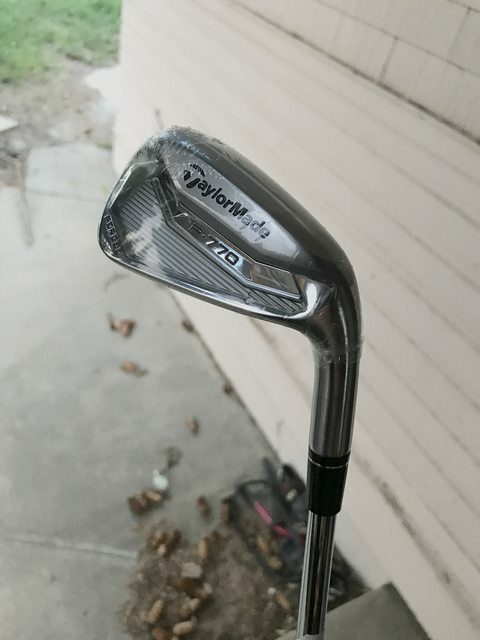 I'm really tempted to get rid of the 3W and get a 64° wedge. I'm sad that Ping doesn't make one. Or if you are psuedoswede, hit them with your normal 40 yard hook. Just wait 'til you hit 40. Ow. This is the first year that I have pain in my hips after I golf. That can't be good. 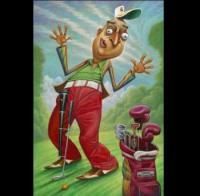 I'm pleased to report that my last four rounds of golf have been hip pain-free. /smile.png' class='bbc_emoticon' alt=':)' /> My knees, that's another story. Yeah, that's my MO and why you didn't see me in any at Riverdale! I'm almost the same; so hot and cold. I do most of my practicing at City Park and their sand is like concrete most days, so my confidence is typically shattered. If I only have one greenside bunker shot to pull off per round, I'm usually fine. Just step up and whack it. Fairway bunkers...no biggie. A friend of mine just got us on at Rolling Hills on Sunday. I'm pretty stoked! Hopefully my game is on, though I know putting will be challenging with the faster greens.